If you’re looking for a book written by a naturally talented, genetically gifted, highly successful runner, keep looking ’cause this sure as hell ain’t it. 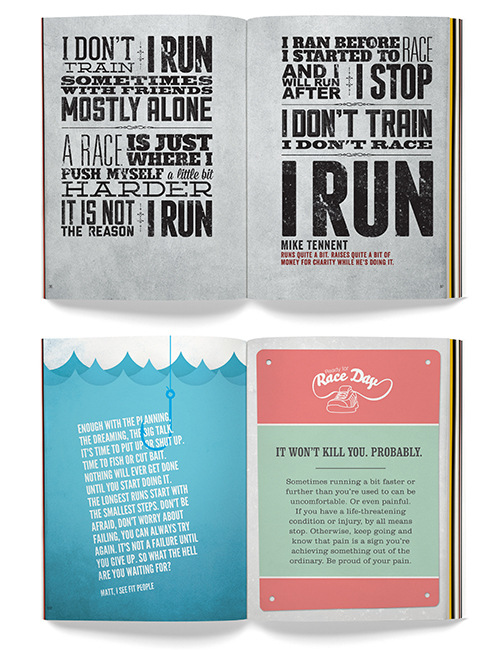 This one’s 180 full color pages filled with advice, inspiration, pretty pictures and some stories about an every day guy doing a bit of running and the lessons he learned along the way. Most of which he learned by getting it wrong. 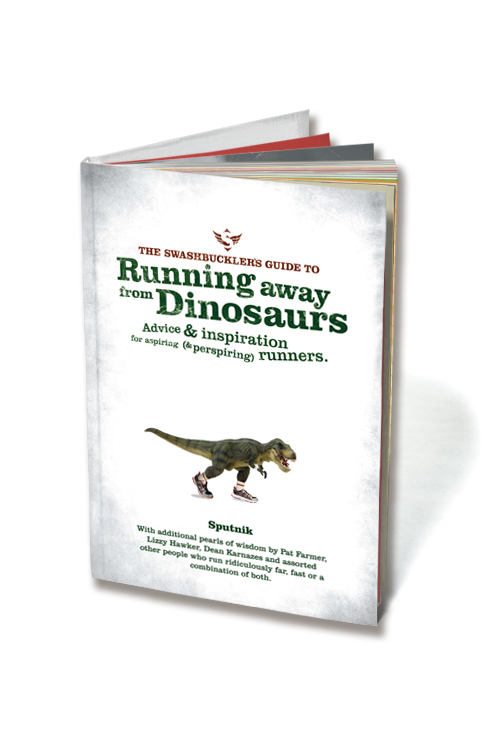 There’s a bunch of advice written by Sputnik himself, some advice from some other every day runners he’s been lucky enough to run with over the last three or four years, and some advice by some absolute super stars. People who run at the highest level and have done all sorts of amazing things like run ridiculously far or fast, win races, break records and all that sort of stuff. People like Pat Farmer, Lizzy Hawker, Dean Karnazes and Pam Smith. 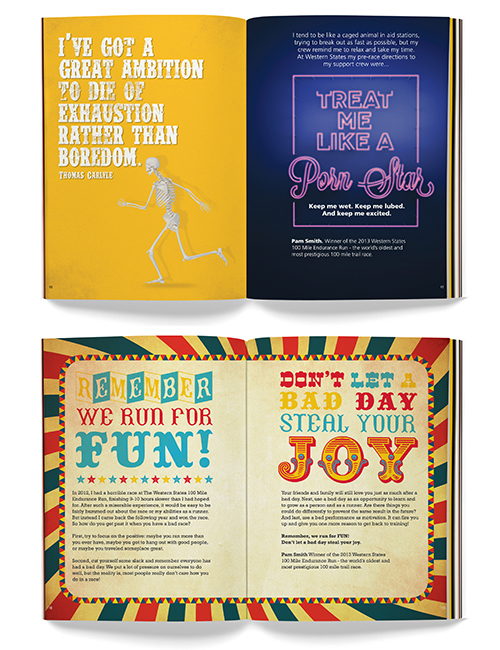 To keep things fun, there’s some of our favorite inspirational and motivational quotes in there as well. And some that are, well, just a bit of fun really. Fancy an autographed copy? Or even a little personal message? No problems at all, just pop something in the comments section or email us and let us know if you just want it signed or actually personalized, and providing he’s not off on some crazy adventure we’ll see if we can’t get Sputnik to scribble in it for you. We’re so sure you’ll like it, we’re prepared to give you your money back if you don’t. Seriously. 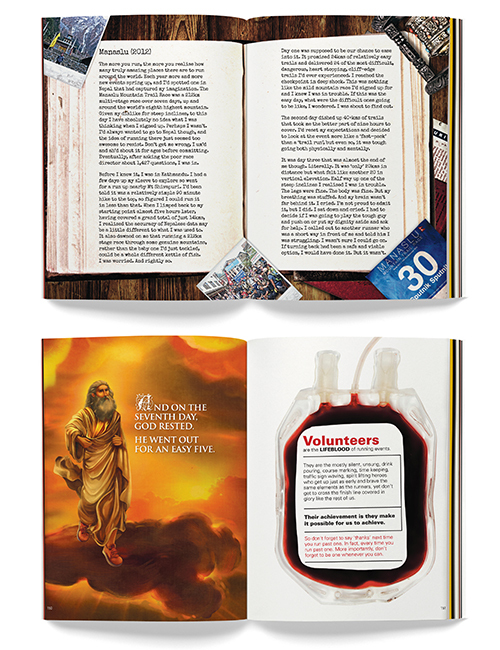 If you buy this book and don’t like it, all you have to do is send your book back within 30 days of it arriving, along with a photo of you juggling three puppies and a chainsaw while walking on a tight rope above a pit of molten lava, and we’ll give you your money back, no questions asked. Simple as that.